Mussini offers brilliance and purity with the highest lightfastness. Mussini provides an extensive range of transparent and semi-transparent glaze pigments. Schmincke Mussini Oil Colors are available in 1.2 oz (35 ml) tubes. This Hansa yellow is a transparent yellow. It has great brightness and tinting strength and its drying time ranges from average to slow. 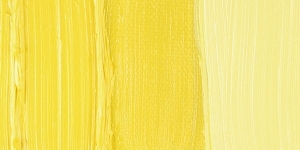 Hansa Yellow makes more intense tints and cleaner secondaries than Cadmium Yellows, especially when mixed with other organic or modern colors like Phthalo Blue and Green. Because they are more transparent, they have great value as glazing colors. This Hansa Yellow has fair to good permanence, particularly in the lighter shades. Hansa Yellow has no significant acute hazards, though its chronic hazards have not been well studied. Hansa Yellows were first made in Germany just before WW1 from a series of synthetic dyestuffs called Pigment Yellow. 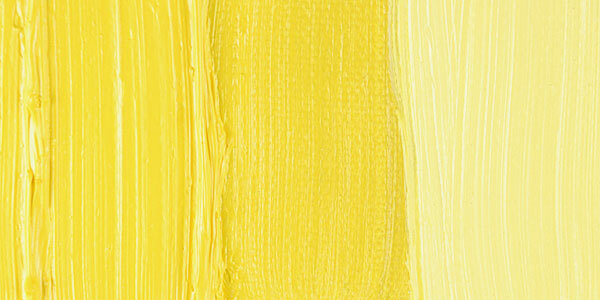 They were intended to be a synthetic replacement for Cadmium Yellow. Arylamide Yellow, Arylide, Arylide Yellow, Azo, Brilliant Yellow, Monoazo, Monolite Yellow, Permanent Yellow. ® Schmincke is a registered trademark.® Mussini is a registered trademark.